Selling brand new in packaging Senses Candy Saury 60g jigs for those going for light jigging trips come this April. 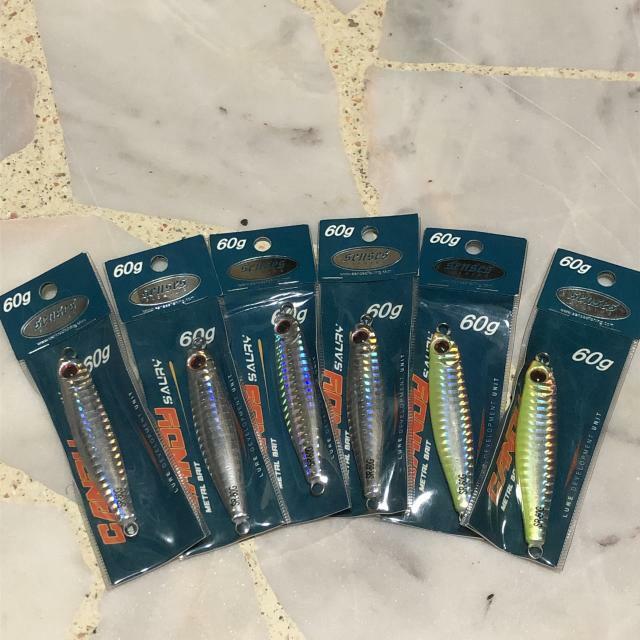 These 60g jigs better for tengs in my opinion because of the longer profile. No separate sale. Selling all for $36. Grab them now.